Experience the Neverland you never knew! This Tony Award-winning prequel to Peter Pan tells the story of how an orphan became the boy who never grew up and a young girl taught everyone to believe. Before Wendy, before Tinkerbell, and before The Lost Boys, there was a friendless boy, a determined girl, and a journey that would change them both forever. Filled with music, mermaids, mayhem, and magic, this Tony Award-winning prequel to Peter Pan tells the incredible story of how a lonely orphan became the boy who never grew up and a precocious young girl taught everyone to believe. 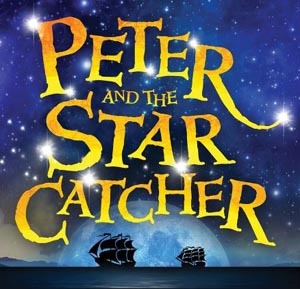 With an ensemble cast of twelve actors portraying over 100 roles and employing inspired stagecraft, Peter and The Starcatcher will have you hooked from the moment this funny, fantastical tale takes flight. Come be a part of the adventure and embrace the endless possibilities of imagination, friendship, and love. The means we don't decide the price, you do! Our 'sweet spot' would be about $20 per person; if you are on a budget, pay less, and if you are able to pay more, please do!